I was able to snag this on eBay for an okay-ish price! This will be my 3rd Jill figure. I'm starting to think I should hunt down more Jill Valentines for a mini collection, lol. I would upload a pic I took of Jill but my phone doesn't want to cooperate. Details are really good, if you wiggle the handgun a little in her hand you can even see that it has the S.T.A.R.S. emblem sculpted and painted. Razgriz-Specter (Vor 4 Jahren) #2757744I could see them doing Claire's Revelations 2 version, barring this line being a complete disaster.I'm pretty sure the line is already a complete disaster. lol. Chris and Leon were released as standard figures and they were received poorly. I'm guessing that's partially the reason Capcom chose to release this as a kuji prize figure rather than a regular release. >.< I would love for them to release ANY figure of Claire though since she doesn't get enough merchandise. Razgriz-Specter (Vor 4 Jahren) #2757744I could see them doing Claire's Revelations 2 version, barring this line being a complete disaster. I could see them doing Claire's Revelations 2 version, barring this line being a complete disaster. Razgriz-Specter (Vor 4 Jahren) #2755777Thanks! Ordered within 5 minutes of discovering this figure. Passed on RE6 Chris as I have enough figures of him but was so amazed to see they did Jill in her Wetsuit from Revelations. After I bought Jill I jumped on Chris as well. Would probably buy Leon if he had been the RE2 or RE4 version. Thanks! Ordered within 5 minutes of discovering this figure. I hope this will be available on manda again... 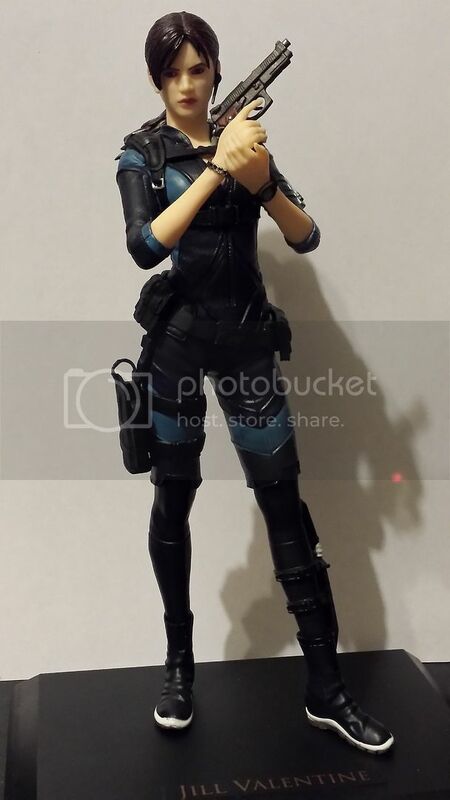 I love Jill, but for me there's no a decent figures of her which is available, and even if this is a prize figures, and she's modeled fro BH Revelations (and I don't like her face there...), I'd like to buy her since is probably the best Jill around... at least from the images there's actually a resemblance to Jill from BH Revelations.